Hello, friends! It's the 17th and that means it's time to CHECK YOUR BOOBIES! Yup, that's right! 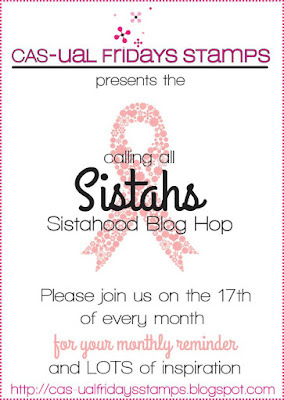 We gather together on the 17th of each month for the Calling All Sistahs Blog Hop for some fun, some prizes, some inspiration, and an important reminder to check yo' self! If you came from Jeane's blog, you are already on your way! 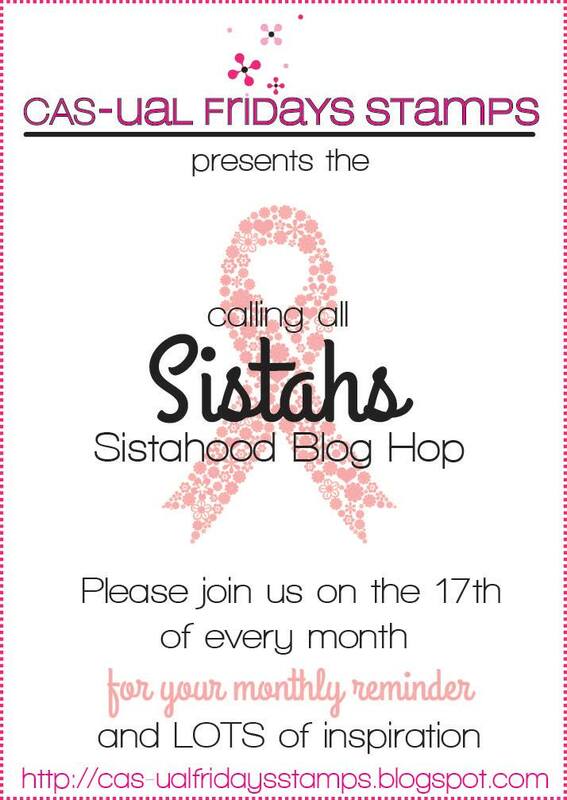 If not, you can head back to the CAS-ual Fridays Stamps blog to start at the beginning and find out more about how you can help us support breast cancer research and even participate in our next hop! 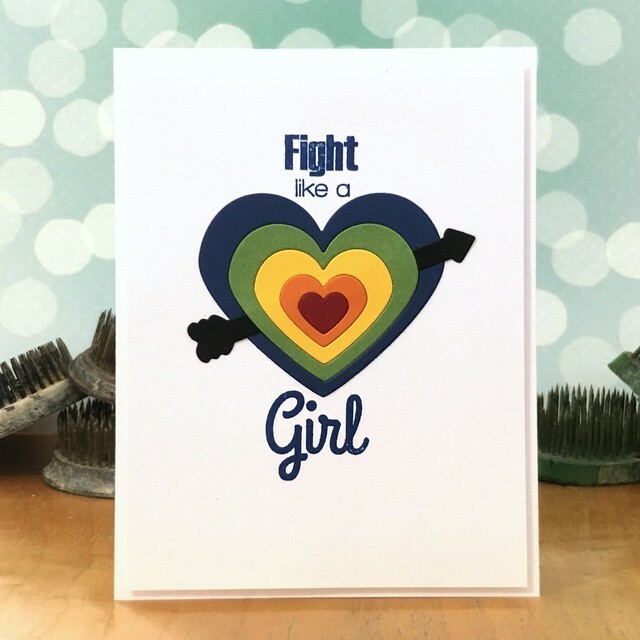 I created this fun card using the Calling All Sistahs sentiment stamp set and the super fabulous Heart Board Fri-Dies. Be sure to head on over to the CAS-ual Fridays Stamps blog to check out how you can win some fabulous stamps (Pssst! Leave a comment!) and also to learn more about our hop and even how you can participate if you would like! 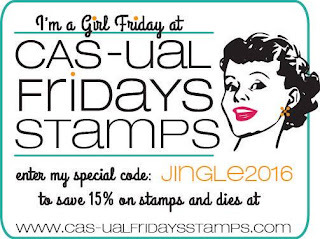 Also, just a reminder that you can save 15% off your CAS-ual Fridays Stamps order by using the code JINGLE2016. Your next hop stop is Lisa's blog! Awesome card! I love the heart die! Like the colors you picked for the hearts. I love the pretty color palette in your card! Thank you very much! OOOH I love that pretty rainbow heart! I love the beautiful multi colored heart. Love your take on this card. Such a clever idea! I love your card! Love the inlaid die cuts! wow your card is awesome. love what you did with that die..
Oh this is fun, the stack of hearts are so cool, for this card.